In terms of development the far west of Nepal comes at the bottom of almost every list, but for adventure and wonder, the region is near the top of the class. This is a landscape of deep, dank forests, sparkling sheets of water, lonely ice and snow-covered mountains, narrow canyons and ancient villages. It’s a land of pilgrims and trade routes with goods still carried to and from Tibet by mule and yak, and Nepalese pilgrims head through the region en route to the Holy of Holies, Mount Kailash in western Tibet. For a trekker, western Nepal offers many challenges and logistical nightmares, but the payback is a vast swathe of untouched mountainous country waiting to be explored. You need patience and to be on a fully supported camping trek but if you’re looking for something truly different then the far west of Nepal will probably suit. Camping alongside the shores of Rara Lake, Nepal’s largest, is a real wilderness experience where you’re more likely to see a musk deer or even a bear than another group of trekkers. Entering a village is a cue for a memorable cultural exchange. So few trekkers come here that people will fall over themselves to try to talk to you and invite you into their homes for a restoring cup of tea. Accept these invitations with gratitude. They’ll make for some of your fondest trekking memories. Walking the Limi Valley rewards with spectacular mountain scenery, but some of the villages along this route are as impressive as the mountain views. Halji, Til and Jang are all medieval time capsules straight from a Himalayan fantasy. The home of the gods, the birthplace of four of the great rivers of Asia and the centre of the universe for followers of Hinduism, Tibetan Buddhism, Bön and Jainism. Mount Kailash is said to be the holiest natural site in the world and every year thousands of people from across the Tibetan plateau and Indian sub-continent make the arduous three-day pilgrimage around the mountain. With the correct (and very complicated) paperwork, foreign trekkers can cross from Nepal into western Tibet to walk the Kailash kora (pilgrimage route). Every trail in western Nepal is off the beaten track and no two trekking agencies are likely to run the same trips, or even know the routes properly themselves. This makes any trip to the far west an authentic adventure. The focus on the trek to Rara Lake isn’t so much on the high mountains (though these are always the backdrop) but rather on unhurried village life and the variety of ethnic groups found along the way, and the thick forests that surround the lake providing a home to musk deer, black bears and other wildlife. The area round the lake is a national park with few signs of human habitation and there are some delightful wild camping spots. This is a genuine wilderness trek. It’s easy to underestimate this trek and although you don’t go very high compared to most Nepali treks, there are still passes of nearly 3,500m and snow is common in the winter. A great way of expanding this trek would be to link it to the Dolpo area treks by walking the Jumla to Dolpo route in reverse. Of the very few people who trek in Nepal’s far west, most walk the Limi Valley route (often with a foray over the border to Tibet to complete the Mt Kailash pilgrimage). Tucked right up into the far northwest corner of the country the Limi valley is about as far as you can get from Kathmandu, physically and metaphorically. The villages here, which are strongly influenced by Tibetan culture, are often beautiful fortified stone wall affairs. They can spend months on end cut off from the rest of the world by snow and ice. The route follows the dramatic Humla Karnali river valley to the Tibetan border at Hilsa. You will probably pass pilgrims heading for Kailash, and mule, yak and sheep caravans heading to and from Tibet with goods to trade. From Hilsa the route loops round on quieter trails, goes over some daunting passes and through lightly populated country before returning to the airstrip at Simikot. Depending on whatever the travel restrictions in Tibet are at the time, it’s possible to cross the border at Hilsa and make for holy lake Manasrovar and on to Mt Kailash. The mountain is said to be the home of Lord Shiva, and pilgrims, and and a few foreign trekkers, circumnavigate the mountain on a three-day pilgrimage. Independent travel is forbidden in Tibet and in order to add in this extension you will need to coordinate with agencies in Kathmandu and Lhasa. Allow at least six weeks to obtain the required travel permits for Tibet and Kailash. Trek Duration: 17 days (allow an extra week if adding the extension to Mt Kailash. Accommodation: Very basic homestays, camping. This very remote trek leads through pristine conifer forest to the base camp for Saipal (7,031m), western Nepal’s highest mountain. 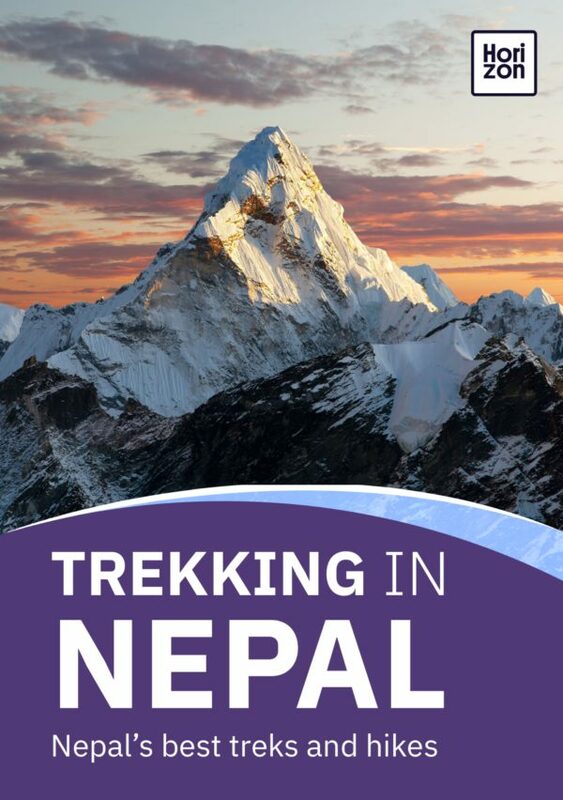 This is possibly the quietest trek listed in this book and any agency offering this will probably have their own variation of the walk (it’s also possible to reach base camp from Simikot). Whichever way you come though, you can be assured of big mountain vistas and an exciting crossing of the 4,709m Sakya Lagna pass. Villages in these parts are few and far between and the countryside remains fairly unaltered by humans. There are absolutely no facilities for trekkers along these routes. Bring everything you might need with you from Kathmandu and don’t expect to find local porters. TIMS permit is required for all treks. For Rara Lake only, a Rara National Park permit is needed. For the Limi Valley trek required permits are the Humla Remote Area permit and Limi Restricted Area permit. For Saipal Base Camp an Api Nampa Conservation Area permit and a Humla Restricted Area permit are both needed. Most of this region lies within the Himalayan rain shadow and all these treks are best tackled between May and October. The Rara Lake trek can be walked from late March to early November. It’s best to avoid the July to August period as some rain does make it over to the far side of the Himalayas and flights to western Nepal’s airstrips are frequently cancelled due to bad weather on the windward side of the mountains. From November to April most routes will be snowed in and villages sparsely populated. Although there are a few very basic homestays along the Limi Valley route all these are essentially camping-only treks. Make sure that any agency you use has a working knowledge of the area and the trails. Small planes fly from Nepalganj to Simikot and Jumla. Cancellations due to bad weather are very common so allow a day or two for flight delays. For now there’s no road access to any of the other trailheads but that could change as road construction continues apace. This is especially true of the Limi Valley route where roads are starting to allow easier access to the Tibetan border.